When choosing Sydney Tree Removals you can be confident that you are picking a reputable and certified tree removal service in the Northern Beaches. We are fully insured, our staff are all trained and experienced, and we refuse to remove trees illegally or dangerously. 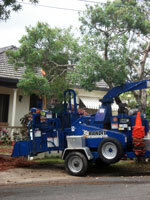 We are the tree removal professionals for the Northern Beaches and throughout Sydney. Tree stumps can be difficult to remove and that is why we offer a tree stump grinding service for the Northern Beaches of Sydney. If there are electrical, water, gas, or other services running near your tree stump using a stump grinder may not be the most suitable option. We also remove stumps manually, or through a chemical treatment. Did you know you can be fined and taken to the Land and Environment Court for illegally removing a tree in the Curl Curl region? If you are having difficulty with your local council's removal permit or understanding your council's tree preservation order - we can help identify trees, palms, or branches for removal or pruning. We can even help you get a tree removal permit for Curl Curl. 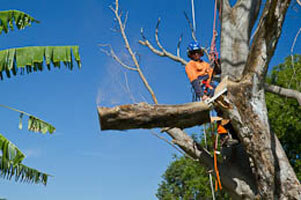 We have many years of experience performing tree removals in Curl Curl and for the whole Northern Beaches. There has never been a tree removal job that is too big or small for us. We always rise to the challenge. All the tree related services we prove in Curl Curl and across Sydney are performed expertly by arborists, and with utmost care. Sydney Tree Removals has an excellent record for tree removal, and we want to keep it that way. So when we are tree removal on your property, you can be assured that you are getting the best tree service in the whole Northern Beaches.